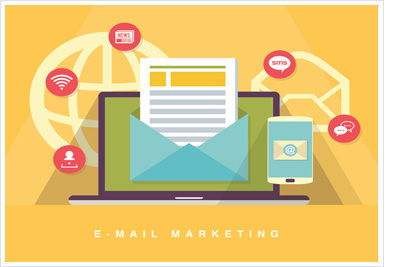 Over the years the use of email marketing has become a vital tool used by many small & large businesses that want to send regular marketing based messages, these may include special offers or newsletters. This form of marketing is both fast and cost effective and offers a good return on investment to many business owners who are looking to generate enquiries. Through the use of email marketing your emails can be tracked to see how many people are opening your emails, what time of the day you have the most clicks on your email along with how many people are clicking through to your website as a result of receiving your email. This type of tracking allows you to carefully target your audience and gain maximum exposure. An up-to-date email marketing list is essential to having a successful email marketing strategy. Your email list must contain information about your recipients so that your messages are targeting the correct audience. The easiest way to gather this type of information is to allow people to sign up to your emails via your website. To find out how we can help you with your email marketing, please feel free to get in touch where a member of the team will be happy to help.